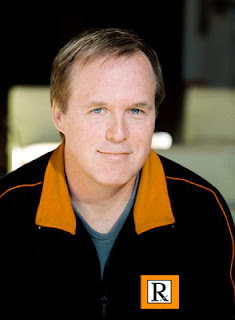 Spline Doctors » Blog Archive » BRAD BIRD SPLINECAST!!! On Valentines day we are trying to show the love. Adam Burke and I did an interview with Brad on January 8th. Its a great interview and we think you will really like it. Please post your comments. Yes I know some of the audio is low, but most of it is great. Expect it on itunes in the next week or so. Special thanks to Brad for taking the time to do this and to Adam Burke for helping organize it. SWEET! I had a hunch this might have been coming but wasn’t sure. The other splinecasts have been great too! THANKS!!!! Now to listen! I love love love hearing Brad Bird talk. I love the interviews/audio you guys put up! Do you think you’d do another “round table” any time soon? It would be cool if it became a regular thing…. Great to see an interview with Brad Bird…I can’t wait to listen to this splinecast. Thanks! We will be doing at least 2 more roundtables in the foreseeable future. However, we are in the last six weeks of animation on Ratatouille so we can not promise you when we’ll record them and post. Please be patient with us. We’ll try to have some informative posts in the meantime. Enjoy the interview with Brad. This interview is so inspirering. Can’t belive he started a film at age of 11 and continues working on it for three years! Is that movie available somewhere? This is amazing guys thanks for doing this! Am I the only one who can’t download this? I just see a bunch of text, weird. Thanks for doing this guys it should be really interesting. I can hear this all day long, is better than music!!! Love all the stories, the memories !! is just awesome!!!! I haven’t been able to listen to it either. Just text. I can’t wait to listen to it but what an emotional rollercoaster! during this busy time for you guys. You guys made me hate Valentines Day a whole lot less. Awesome!! I can’t wait to listen to it. It’s ironic too, since I just found out that he was the voice for Edna Mode in the Incredibles…haha. Whoa. I love the innerweb. Is his first animation anywhere online?! A wonderful, extremely honest interview. Thanks a bunch! oh my goodness, soo exicted! I have something to listen to- thank you. Brad Bird is a great storyteller and I look forward to hear what he has to say. That was amazing. I can’t get enough of Brad Bird! He is the man! Thanks Spline Doctors! Fantastic! Thank you guys so much. Great great stuff. You guys gonna do an mp3 version as well? Sweet! Thank you so much for this interview! I can’t wait to come down and visit some of you guys at Pixar this spring! Pop that file into the same folder as the audio file and Apache should serve it correctly instead of treating it as text. This is the most interessting and important interview I have heard ever. Thank god we have this guy on this planet and can learn from him and from any other thinngs that happen around us every day. You guys are the best. Thank you very much for giving us this ! I have seen Brad Bird speak and I was lucky enough to meet him in person once. And as in the Spline Cast he was funny, insightful, and a joy to listen to. Thanks for putting together this interview, and I would love to hear any and all other tidbits you might be able to get with this great artist. Thanks so much for this Splinecast, guys. I can never tire of hearing from experienced animators and artists like Brad Bird. Ditto on the thanks. I especially enjoyed hearing about his experiences working at Disney when he was so young. I can’t believe he was animating and thinking critically about animation long before he was even in high school! Talk about having the animation bug bite early. I’d love to hear more personal stories like that if you do more interviews in the future. It’s interesting to hear someone recount their own life. Wow, thank you so much for this guys! It is one of the most inspiring animation related podcast I have had the pleasure listening to! I’ve probably played this 10 times now and It just gets my so hyped and excited about this industry! Dont you just love how he goes on about story, story, STORY? why is the brad bird interview not downloading on my mac??????? (c’mon! he worked for Pixar, i.e. Steve Jobs!!) Please help – I really want to hear it!! Cathy PS thanks for doing this! Thanks for all the great feedback regarding the interview. I do understand that some people are having trouble downloading the file. If someone wants to compose a .htaaccess file, I will put it on our site so that it does not download as text. If anyone has any tips for exporting this better, please advise. I am just using Garageband to make all the chapters and do the general sound editing. Again, thanks for the comments. We enjoy doing the interviews as much as you like hearing them. Its all about staying fresh and inspired. Sweeeet cast guys!! Thanks sooo much! It’s great to hear how artists get started in their careers! Yeah no kidding anonymous! And while he was he Junior High? Amazing! Hey, is this going to be on Itunes anytime soon? I can’t get it to play either! It is up on Itunes now. I can’t seem to find it on iTunes or download via the supplied link. Go to iTunes and hit subscribe. Thanks a lot! another great splinecast. EXCELLENT interview guys! But MAN, just as Brad was on a roll about Milt Kahl your PHONE went off!! I am very busy with my assignment but I though I would still need the time to thank the “doctors” for so much animation goodness. I opened the splinecast reluctantly last week, thinking it would be one more interview on Story telling but I was pleasantly surprised to hear an in depth interview on Brad Bird as an animator. So he got his first desk at Disney aged 14! Man , he IS mister Incredible. I also had Andrew’s lecture on polishing at AM this week, man that was christmas twice in a row. A friend at work passed me the link to this today – it made for great listening. I will check back on this site like the very sponges that lurk upon the bottom of the ocean of animation goodness – soaking it all in! Thanks for having this site, and recording the Podcast. What is the ‘new Disney book’ that B-Bird refers to? Excellent! Thanks so much for recording and posting this! That was great, I’d love to hear more of this, especially where Brad touches upon topics that are common knowledge to you Pixar folk but not to other animators. I love that other people, such as Brad, comment upon the Disney formula where he uses terms like “the I want song”. Musical numbers were what turned me off Disney for years and I’m glad I can now go to the cinema to see a cartoon without Elton or Phil blasting in every ten minutes. Sooo sweet. Great interview guys! I’d love a follow up interview with Brad just to let him go off about his ideas. Prolific genius. The interview with Brad Bird was great, and very inspiring for students learning animation like myself!! I can’t wait for another interview with Brad Bird! Dear Brad Bird My name is Michael. I have read that you started your first animated cartoon when you were eleven. I have started my own animated cartoon also. I just want to ask if you could look over my cartoon to see if it is good or not and if you think it is maybe you could help me with it and help me get it on T.V. Thanks for doing this interview! The Incredibles is my inspiration, so it’s really awesome to get insight on animation from the writer and director of my favorite film. I thought it was super cool how he talked about why Pixar was successful (the new medium thing) and why Disney was so popular in its day. You guys rock, and I love your site! Amazing. I just love this interview. health,basketball,sport,soccer,football,golf,forex,investing,investment,money,travel,tour,holiday,health,culinary,recipe,love,parenting I have wanted to post something like this on one of my blogs and this has given me an idea. Thank you…. I have wanted to post something like this on one of my blogs and this has given me an idea. Thank you…. body. Move it: Another very easy way to get relief from the backache is to be active.